← Is NJ the Future of Boxing? Rude Bwoy! Lick a shot! Anyone who knows me, knows that I’m a true reggae head. As I’ve alluded to in past posts, I’m working on a project with Third World, and we’re putting together an end-of-year concert in Kingston, Jamaica. 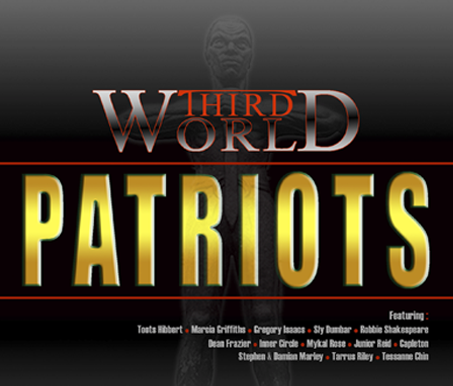 As luck would have it, Third World did a remake of their famous hit 96 Degrees featuring Stephen and Damian Jr. Gong Marley, which appears on their upcoming Patriots album. Anyway, as I was trolling the internet, looking for information about the Welcome to Jamrock concert, thrown by BentSpeare Entertainment (the company owned by Damain’s mom, Cindy Breakspeare), I came across The Mission video featuring the two Marley boys. The track is fire and the lyrics are cerebral. It makes me want to leak the 96 Degrees remake right now (trust me, its fire! ).